Skills Management | Newpark Resources Inc.
Newpark Drilling Fluids is committed to delivering cutting-edge service by providing our employees training and comprehensive professional development. In addition to our core curriculum, we provide training on an as-needed basis to fill the needs of our customer base. With over 200 years of combined experience in the lab and in the field, our instructors are chosen because of their hands-on experience dealing with all aspects of drilling fluids technology. At Newpark Drilling Fluids, our management recognizes that the quality of our technical and field staff is integral to the company’s reputation for superior service. HSE competence includes education/certifications, professional safety experience and the demonstration of knowledge of professional safety practices. Newpark’s HSE coordinators evaluate HSE competence with exam-assessed training sessions followed and on-site performance observations. Safety training is mandatory for all non-office and laboratory staff, ensuring ISO mandated training occurs. 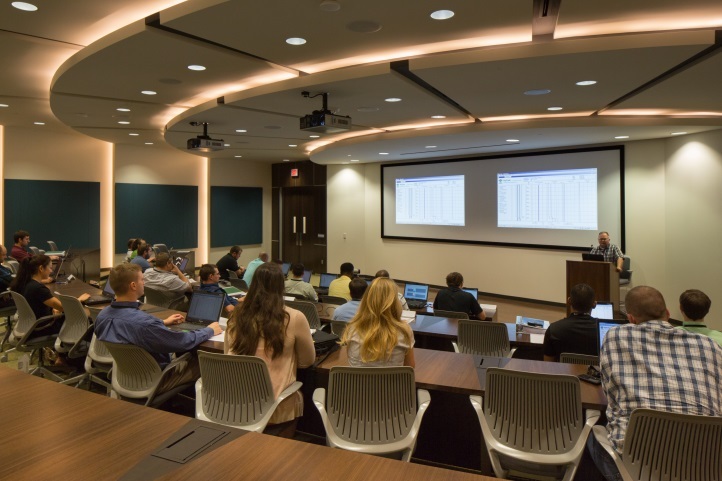 Newpark conducts training for new field engineers as well as advanced training for experienced field engineers and project managers. Our Fluid Service Technician Certification, an intensive nine-week course, provides employees with the fundamentals of drilling fluids and related applications. The coursework exposes Newpark employees to a broad array of subjects, ranging from chemistry to advanced formulations of water-based, oil-based and synthetic-based drilling fluid systems. 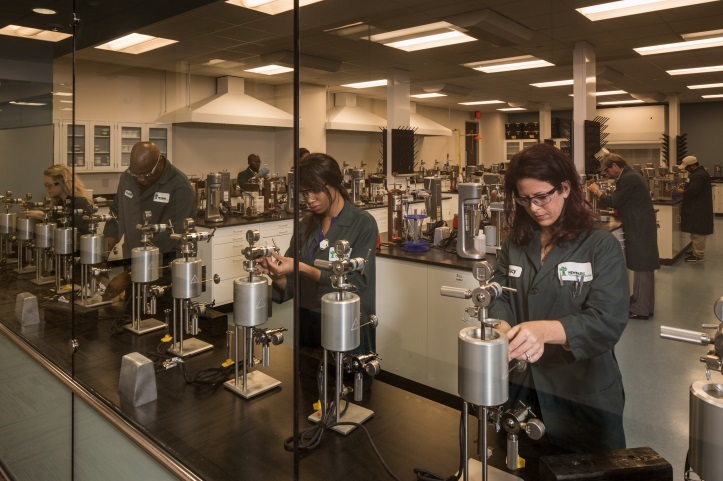 Students spend a portion of their time in the Newpark Technology Center gaining experience using API testing and analysis procedures for various fluid systems. They receive hands-on experience in how to conduct API tests, analyze test results, and troubleshoot and correct any problems identified in the test procedures. The students are instructed on different lab equipment such as the PPT (permeability plugging tester), dynamic filtration, HPHT filtration, refractometer and the water activity meter. Prior to graduation, the two-week field ride takes all this coursework from theory and the classroom to practical application in a real world drilling environment. After completing the course, field staff are given further on-the-job training the new-hire is deemed competent. The Intermediate and Advanced Mud Schools cover a wide range of topics designed to assist engineers in honing their existing skills, developing new skills, and training in advances to technology and new testing procedures. Some of the topics covered are: Mud Pit, HyCalc, well control, loss circulation/stress cage, new testing procedures, new technology, high temperature, HazMat, hydraulic Analysis, pore pressure prediction, operations, formation damage, solids control, lubricity, log analysis, and borehole stability. The Project Coordinator School, consisting of an intensive four-week block of instruction, is designed to develop Newpark Drilling Fluids technicians into effective and innovative project coordinators. This school introduces log Analysis and log Interpretation to facilitate pore pressure and fracture gradient prediction. Significant emphasis is placed on hydraulic analysis and optimization. Special drilling fluids testing procedures are covered at the Newpark Technology Center using analytical equipment such as the gas chromatography-mass spectrometry, fourier transform infrared spectroscopy, particle size analyzer, x-ray diffraction, and ion chromatograph. Detailed instruction on the use of each piece of equipment and what information can be extracted from each test will increase our Project Coordinators’ arsenal of tools to troubleshoot and solve their customer’s drilling fluids problems. Understanding the concepts and use of Newpark Drilling Fluids’ suite of proprietary computer software will eliminate problems before they arise when planning drilling fluid programs for project execution. Training in these software tools is a primary curriculum focus for the Project Coordinator School. Upon completion of this course, Newpark Drilling Fluids technicians will have the cornerstone knowledge to be effective and cost-efficient as a project coordinator. Newpark offers a one-week Drilling Fluids Foundations course. This course is a fast-paced overview of basic drilling fluids principles, scientific concepts and fluid systems. The course allows the individual to explore the different properties, capabilities and limitations associated with these systems, while providing hands-on experience of drilling fluids testing in a laboratory environment. Topics covered include: types of drilling fluid systems, clay chemistry, salts, filtration, weighting agents, corrosion, polymers, well bore stability, and contamination. This course is ideal for a person in the drilling industry seeking a better understanding of drilling fluids and how they are used in today’s market. This course can also be tailored to understanding the application of drilling fluids technology in the field, creating more understanding amongst field personnel and making the drilling process more efficient.